The Siegel Family has generations of experience with diamonds. We've seen it all. Aleah Siegel (5th generation) is a gemologist who works in the Diamond District in Chicago, and is our premiere diamond supplier. There is no wonder why diamonds are one of the world's most universal currencies, and most widely valued assets. Sources: Our diamond suppliers follow the industry standard safeguards to ensure that diamonds have legitimate certificates of origin. Keep in mind that diamonds have been in circulation since before certifications began, and it is impossible to track every diamond. Siegel's is committed to conflict free sources. 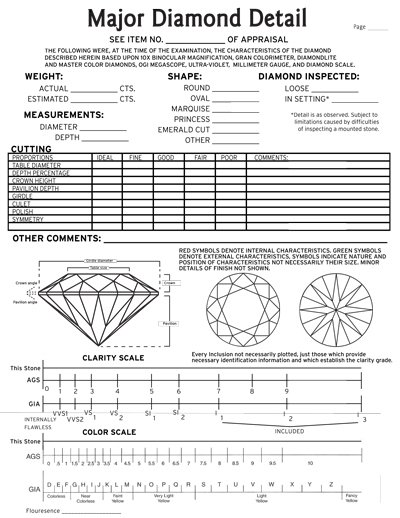 We provide you with all of the detailed records of your stone and free official appraisals upon diamond purchases over $500. Lab Created Diamonds are available in our store. Check out our LaFonn line of Lassaire lab created diamonds.